Although passionate about writing from an early age, Heidi Swain gained a degree in Literature, flirted briefly with a newspaper career, married and had two children before she plucked up the courage to join a creative writing class and take her literary ambitions seriously. A lover of Galaxy bars, vintage paraphernalia and the off bottle of fizz, she now writes contemporary fiction and enjoys the company of a whole host of feisty female characters. She joined the RNA New Writers’ Scheme in 2014 and is now a full member. The manuscript she submitted for critique, The Chery Tree Café, is her debut novel published by Simon and Schuster in July 2015. She lives in Norfolk with her wonderful husband, son and daughter and a mischievous cat called Storm. They say you can never go home again, but home is precisely where Lizzie Dixon finds herself returning to. Dumped, unemployed and homeless, she really doesn’t seem to have any alternatives, but being around people who love her and accept her for who she is turns out to be just what she needs. Lizzie Dixon has turned herself inside out to fit into her boyfriend’s world. But while she’s happily humming the wedding march anticipating the big question that he’s obviously about to ask, he’s got an entirely different bride in mind. At first Lizzie seems a little naïve to have given up everything for a man with a shaky past when it comes to commitment, but blinded by love and an eagerness to be loved in return her naivety is not only understandable it’s also a common affliction. I quickly found myself rooting for Lizzie as she adjusted to the shock and realised that finding love had meant losing herself. As Lizzie battles to overcome the humiliation and heartache of losing the man she loves, Cherry Tree Café becomes the place where she can retreat and find comfort with friends who love her, and who teach her to love herself again. This was a lovely easy read that kept me engaged all the way through. Well rounded characters gave the story great depth and charm. As a fellow craft lover I loved the idea of the beautiful café and its creative craft sessions and desperately wanted to be able to walk through the doors and join in! Let down by the person she loved, Lizzie becomes cautious about letting people get too close to her. When she realises that her friends have not only been whispering about her behind her back, but also keeping secrets from her, it causes her to flee again as she feels there is no-one that she can trust. The mysteries surrounding the backgrounds of the three male characters, Giles, Ben and Jay, were intriguing and kept me guessing as to who Lizzie would eventually fall for. I was impressed with the author’s ability to make me feel pity (as well as contempt) for a man whose treatment of Lizzie was so mean and despicable. Overall, a thoroughly enjoyable and satisfying read. I’m looking forward to reading Heidi’s next book now - Summer at Skylark Farm. A few weeks ago I noted that my writing seemed to be taking me on a tour of England. I couldn't help wondering where it would take me next. It turns out the answer was York, to The People’s Friend Writing Workshop. These days it’s just Mum and I reading the magazine and sometimes I even get to read it first. Oh the thrill of reading a magazine that is fully intact before someone has stolen their favourite parts! As you can imagine, I was therefore delighted when Kate Blackadder mentioned she was a guest author on a writing course run by Fiction Editor Shirley Blair. My (non-writing) friends thought I was crazy traveling so far for a one day course that work wasn’t even making me go to. I decided they were right. So I booked a hotel and stayed for three days instead. It seemed like a perfect excuse for a little bit of sightseeing. After two days of trekking around York, determined to make full use of my York Pass, I was relived to be able to sit down and listen to the knowledgeable presenters. However, while my feet where having a well-earned rest, my hand was working overtime trying to scribble down all the useful pearls of wisdom that Shirley and Kate were eagerly imparting. Whilst I am still a complete coward when it comes to reading my work aloud, particularly when it’s just an idea that’s still in a half formed state, I came away from the workshop with two partly written short stories and lots of inspiration for more. Whether one of my stories will ever appear in the pages of The People’s Friend remains to be seen, but at least I now have a much clearer idea of what Shirley and her team are looking for. Regardless of the outcome, I had an enjoyable day spent learning about something I love – what writer could ask for more? This week I'm delighted to welcome author Mark West to the blog. I started publishing in 1999 and managed to catch the tail end of the small press zine world - those ‘for love’ magazines and periodicals so beloved of genre, homemade and often stapled though some were perfect bound. Moving into the noughties, as the Internet slowly grew in usage, those physical mags became webzines. It was a brave new world out there and, Luddite that I am, I resisted for a while - I didn’t want my story to appear online, I wanted it to be in an edition I could put on my ego shelf (I often still feel the same way as we careen towards the ‘20s!). But aside from markets, the Internet promised much more - a web presence. I think most of those early adopter websites have long since disappeared (thankfully) but I’m convinced that if you could find any now, they’d be full of rotating skull gifs, dripping blood gifs, screams (whoever thought a website that screamed at you whenever you clicked on it would be a good idea?) and all manner of cheesiness. But I set one up - called Strange Tales, as it still is to this day - with a company called Homestead, it took me longer to work out the interface than it did to write some of my short stories and, like everyone else, I put a load of stuff up then updated it sporadically. That limped on for a few years and then the rush abated (and the hosts started charging), so sites went dormant (there’s something faintly depressing about finding a long forgotten site full of rotating skull gifs, spinning around for the amusement of viewers who never visit) and I let mine lapse. Then, in September 2009, I discovered blogger. At the time, I was publicising a forthcoming short novel and used it for that but, as time went by, I started to put more on. I began to enjoy the process of blogging, so much so that I published 23 posts in my first year, 144 in my second (which remains my peak). I read an article that mentioned the need to blog regularly and decided to try it - I formalised the process this year and a new post is published every Monday (with additional ones as and when required). More so, away from writing fiction, I discovered that I really enjoyed blogging. I’ve kept a diary since 1981, I make thorough notes for most of my writing projects, I write afterwords to all of them and I’m endlessly fascinated by creative processes - writing, music, behind-the-scenes work on films - and a blog tied all this together. Certainly, there’s a lot on mine about my own writing (stuff I’m working on, in-depth essays when new pieces are published) but there’s a lot of other stuff too. I started with essays about matte paintings and miniatures, of favourite films and forgotten classics and they got a response. Some of them have been very popular too - one, on the matte paintings of Return Of The Jedi, has received almost 10k hits (it was mentioned on reddit.com) - but, more importantly, all of them have been fun to research and write. My good friend, the writer Sue Moorcroft, once called my blog ‘interesting and eclectic’ and that seemed like the perfect way to describe it - because it’s certainly eclectic (I’ll leave it to others to say if it’s interesting or not). I write about books, films, my life, my son and our adventures, things that interest me, nostalgic pieces about my childhood, essays about old friends and fun at conventions. I write about things I like because I enjoy it (I love the research, I love to ‘pass things on’) and I hope it makes the blog interesting to read because it’s not all me-me-me. And that’s the key thing. If you run a blog, of course it’s basically about you but it needs to be about more than that otherwise people won’t keep coming back. Through Sue, I’ve been to a couple of writer/blogger meet-ups (where I met Elaina) and it’s fascinating, the amount of time people put into their creation. I love reading, I review a few books but nothing on the scale of some people - it must be the best part of a full-time job for some of them. But you can see that, you can hear the passion crackling between the lines, you can tell they have a thirst for what they’re doing, that they want to pass on information to the reader. A good blog has an identity (even if it’s to be eclectic, as Sue says mine is) and it needs to be somewhere that you, the reader, wants to visit every now and again to hang out. And long may those good bloggers continue! Mark West was born in Northamptonshire in 1969 and now lives there with his wife Alison and their young son Matthew. Since discovering the small press in 1998 he has published over eighty short stories, two novels (In The Rain With The Dead and Conjure), a novelette (The Mill), a chapbook (What Gets Left Behind), a collection (Strange Tales) and two novellas (Drive, which was nominated for a British Fantasy Award and The Lost Film). He has more short stories and novellas forthcoming and he is currently working on a novel. Away from writing, he enjoys reading, walking, cycling, watching films and playing Dudeball with his son. One of the things I love about books is their ability to transport me somewhere else. I can leave behind my own surroundings and lose myself in another time and place. What I didn’t anticipate when I started writing however was that books not only have the power to lead me on adventures to unknown destinations in my imagination, but they also do so in the real world too. My naïve assumption that writing is a solitary pursuit has been proved wrong so many times this year as I found myself drawn into the sociable side of being a writer. What has surprised me the most though is how writing has lead me to journey across the country. Each summer when I was a child my parents would load up Dad’s Peugeot 205 with camping gear and we would head off on holiday. The long drives were passed fairly amicably with endless games of ‘I Spy’ and the inevitable repeated question; ‘Are we there yet?’ Until eventually Dad pulled into the campsite. Mum and I weren’t particularly what you could call the outdoors kind, but for a couple of weeks a year we were willing to brave the wilderness providing our camp was in the vicinity of a beach. However the night that we ended up chasing our waterproof outer tent across a field amidst the wind and rain drew an end to our camping days. The following summer we boarded a plane and headed to a hotel in Majorca, with indoor plumbing and nice comfy beds. It turns out though that writing is now re-igniting that sense of adventure and I’m exploring parts of the UK that I’ve never been to before, possibly because there are no beaches nearby. I started off with a few simple trips to Birmingham to attend a couple of courses and meet fellow writers. Then it was Lancaster for the RNA conference in July. Now I’ve just returned from the HNS conference in Oxford. Determined to make the most of my new adventurous side, I caught an early train to Oxford so that I could do some sightseeing before the conference. It was a great plan, until I stood chatting away at the wine and canapes reception cursing my choice of footwear. Standing around in a pair of heels for a couple of hours wasn’t the greatest idea given I’d just spend the day trekking around on a mission to ensure I didn’t miss anything. I still can’t quite get over how friendly and supportive writers are. Everyone is so welcoming and eager to help that even quiet, reclusive folk like myself quickly feel at home. I was utterly terrified at the prospect of delivering my first pitch earlier this year, and whilst I’d be lying if I said I didn’t tremble at the thought of them now, this is more a result of nervous excitement than sheer terror. The opportunity to pitch my novel in person and receive feedback is too good to miss just because of a little (ok, a lot of) fear. The agents and publishers I’ve met have been absolutely lovely, they’ve offered helpful advice and encouragement, and thankfully they haven’t once rolled around on the floor in hysterics at the notion of me attempting to publish my novel. The conference was a fantastic opportunity to hear from renowned authors such as Fay Weldon, Jo Baker, Melvyn Bragg and Tracy Chevalier, who gave interesting insights into their inspirations and ways of working. The Next Big Thing in Historical Fiction panel chaired by Carole Blake was a fascinating insight into what the highly regarded panel of agents, booksellers and publishers are hoping to find in future submissions. Working with an Agent v Going Solo – chaired by Joanna Swainson, gave a considered overview of the benefits of working with an agent – particularly with regards to having someone in your corner to champion your book and offer you advice and work on rights issues (translation, audio, film and TV, large print) which is an area where self-published authors struggle without the expertise of an agent. It was interesting to note that whilst an agent will work on editing a debut novel before they pitch it, they want novels that are 95% ready before they’ll sign a new author, as even if they love the idea they don’t have time to dedicate to a book that isn’t close enough to being ready for publication. Points of view – this workshop struck a chord with me given this is currently the issue I am tackling in my own novel. James Aitcheson’s recommendations for avoiding cinematic views and the need to consider what things feel like from the characters perspective are great tips to help me get closer to my main character. Emma Darwin’s explanation of psychic distance to the character was intriguing, and I will be delving into her blog This Itch of Writing to find out more. Creating Historical Characters – Jean Fullerton put historical fiction into perspective for me in her session when she explained that; “Good historical fiction isn’t about history, it’s about the people. Historical details are the backdrop.” That doesn’t however mean that the historical details aren’t important, they are and it’s essential to get them right. Jean explored examples of these details which are worth researching for your novel’s time period, such as; language, clothing, food, daily rituals, attitudes and actions. My only regret for this conference is that I haven’t mastered the art of being in two places at the same time, as there were so many other sessions that I would have loved to attend as well. 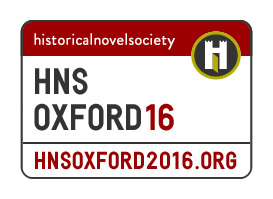 So with #HNSOxford2016 over the question is, where will my writing take me next?